Hasan İzzet was born in 1871 in Istanbul. He graduated from the War Academy in 1893 and began working at the High Command. In 1896, he was appointed to the War Academy as an instructor and he taught tactical studies for several years. In 1897, he also took part in the war against Greece and took part in the battles of Çatalca and Dömeke. In 1907, he went to Romania as an observer for the military maneuvers held there. In 1909, when he was the commander of the 17th Division located in Siroz, he returned to Istanbul to join the ranks of the Liberation Army, which suppressed the rebellion there. It was during the Balkan Wars when Hasan İzzet was promoted to a General. 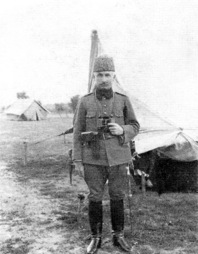 He fought in several fronts, including Petra, Taştabya, Vize and Çatalca. After the armistice, he was appointed as the commander of the III Corps. When the World War broke out and the Ottoman Empire began to mobilize, Hasan İzzet Pasha assumed the command of the Third Army. His army was located in Erzurum in the eastern part of Anatolia and was deployed against the Russians in the Caucasian front. After a quarrel with Enver Pasha, who came to the front to take over the command, Hasan İzzet Pasha resigned. He was opposing Enver’s plans to attack and encircle the Russians under the harsh conditions of winter. 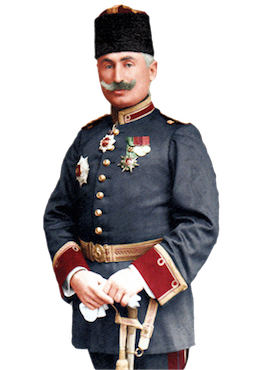 Hasan İzzet Pasha died on March 3, 1931 and was buried in Aleppo.